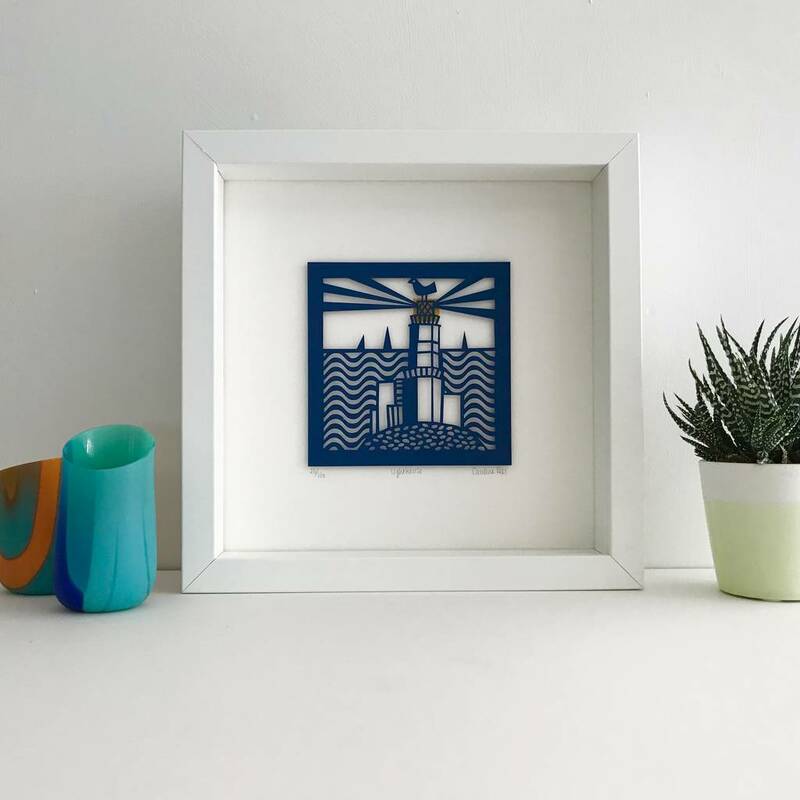 A stylish limited edition papercut of a lighthouse. 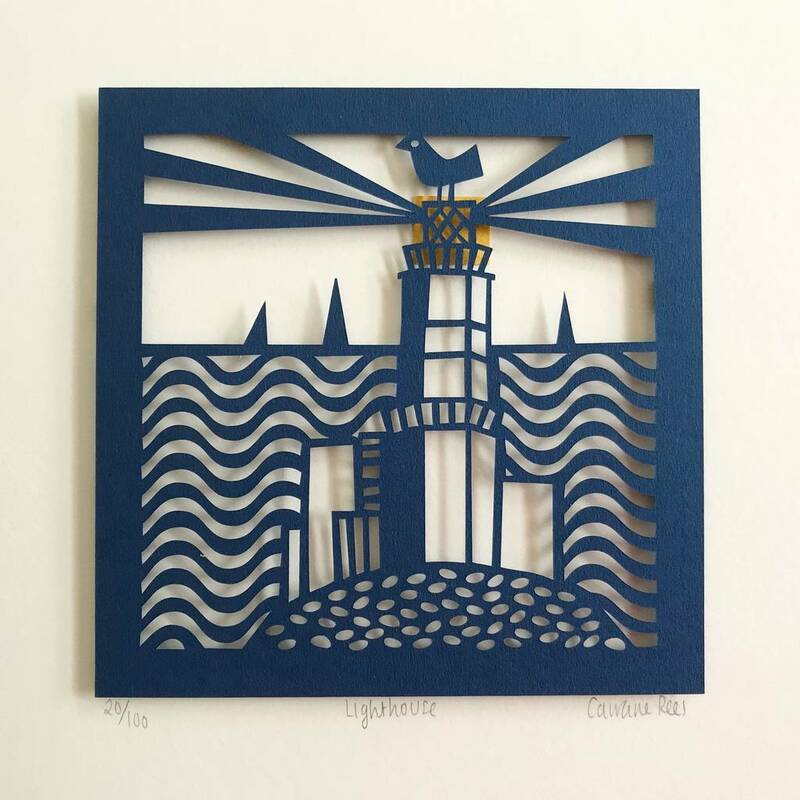 Who doesn't love a Lighthouse! 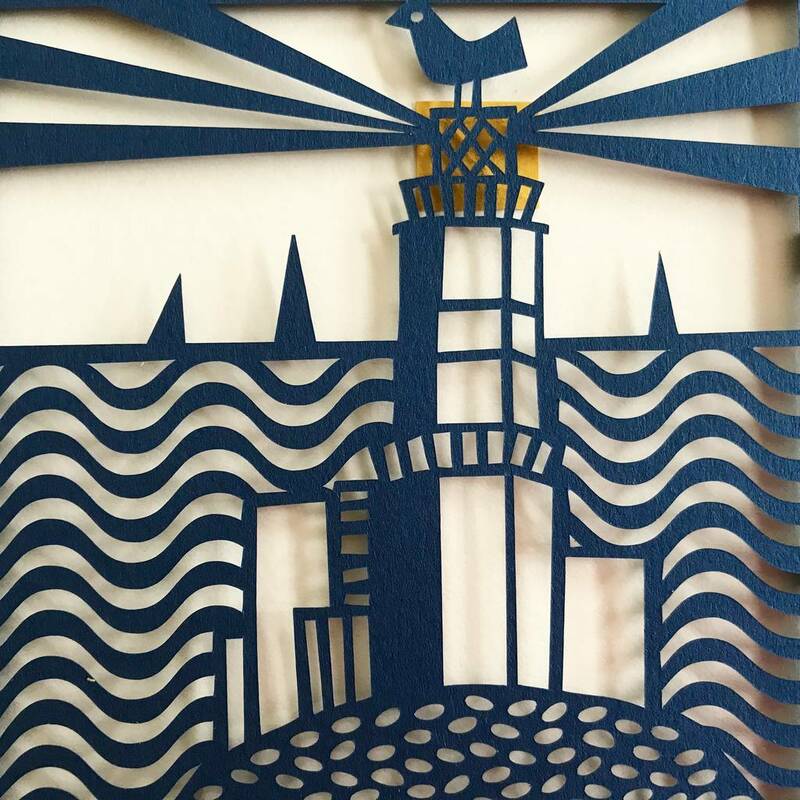 If you're looking for a handmade and unusul design led gift for a lighthouse or beach lover, then this is just Perfect. 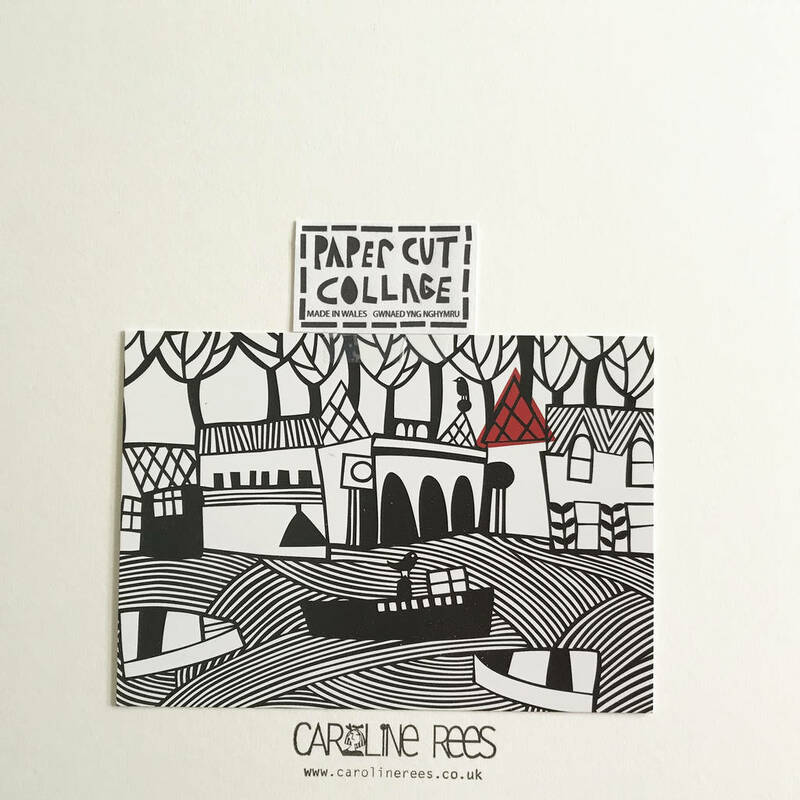 It is designed by me and made in my studio in a limited edition of 100 from one of my original hand cut designs. It will arrive wrapped in tissue paper in a white board envelope to protect it during transit.